These ‘parking meters’ don’t just want your spare change – they want to make positive change in the city by ending homelessness. 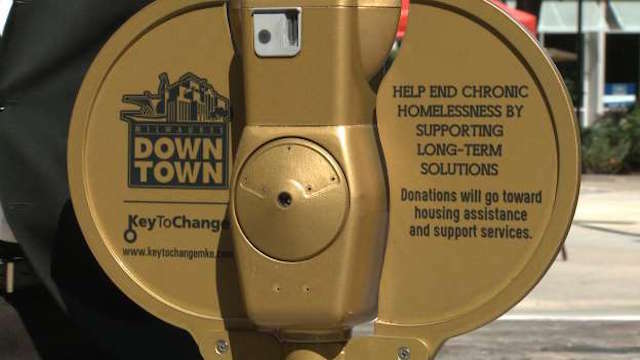 Seven new repurposed parking meters in downtown Milwaukee, Wisconsin are collecting money that will benefit the local homeless population. 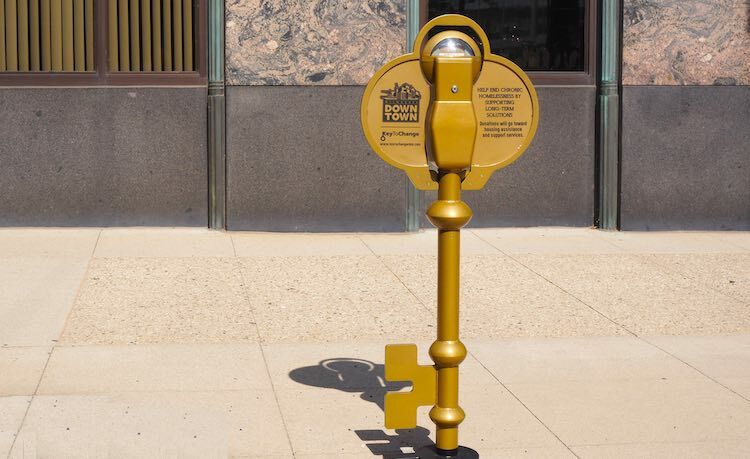 The golden meters are eye-catching because they are shaped like keys, and are positioned in highly-visible areas near restaurants and stores on busy Wisconsin Avenue, and on the Marquette University campus. 100% of the money collected by the meters, which were created by a local partnership campaign called Key To Change, will go towards housing-first and assistance programs orchestrated by the Milwaukee County Housing Division. Washington, D.C., Denver, Indianapolis and Detroit have similar meter-style giving opportunities that benefit the homeless, but Milwaukee’s key design is, so far, unique to the city, according to the Key to Change website. The city government has already placed more than 225 chronically homeless residents into permanent housing since September 2015 – and the city credits the meters for helping raise cash and awareness for their mission.